A long time ago when I was a little girl I had a wonderful Grandma who loved to sew, and another equally wonderful Grandma who loved to knit. I was truly blessed. The two of them were good friends, but you know how they talk about people being chalk and cheese? Well that whole notion of folk being so very different from one another that they belonged in different elemental groups might have been coined for my grandmas. Sewing Grandma was very musical. She played the organ at church on Sundays. Knitting Grandma was a born raconteur, who loved parties and dancing and young people. Sewing Grandma liked to have her friends over for dinner. She made her own preserves and baked a mean Victoria sponge. Knitting Grandma loved street markets and bargain-hunting. She liked stand-up comedians, soap operas and a good night out with her friends. I loved them both, and I miss them more than I have words to say. One day several months' ago my father came upon Sewing Grandma's old sewing machine. It was in a very sad state. It had been left exposed to the elements when a roof had collapsed and wasn't looking any the better for the experience. Someone who didn't have any emotional attachment might have described it as a piece of old junk. When he told me about it my father was slightly taken aback by the depth of my sadness to hear of its demise. You wouldn't want that old thing, would you? he'd asked, looking at me as though he'd never get his head around how my head worked. Well, of course, I'd have loved to have it. It was the sewing machine on which I'd learnt to sew as a little girl, way back in the happy, sunshiny days when I'd had the kindest, sweetest, dearest teacher in the world initiating me in the mysterious ways of the Singer bullet bobbin. This old sewing machine had been one of my grandma's most precious possessions. It was something that she'd sat at for weeks of her life, making clothes for her family and soft furnishings for her home. And my kind and generous father went off and quietly restored it for me. He's a wizard when it comes to fixing things. On this occasion his work was clearly a labour of love. And what he's done is nothing short of miraculous. Would you like to see my new/ old sewing machine? Isn't it a stately thing of beauty? 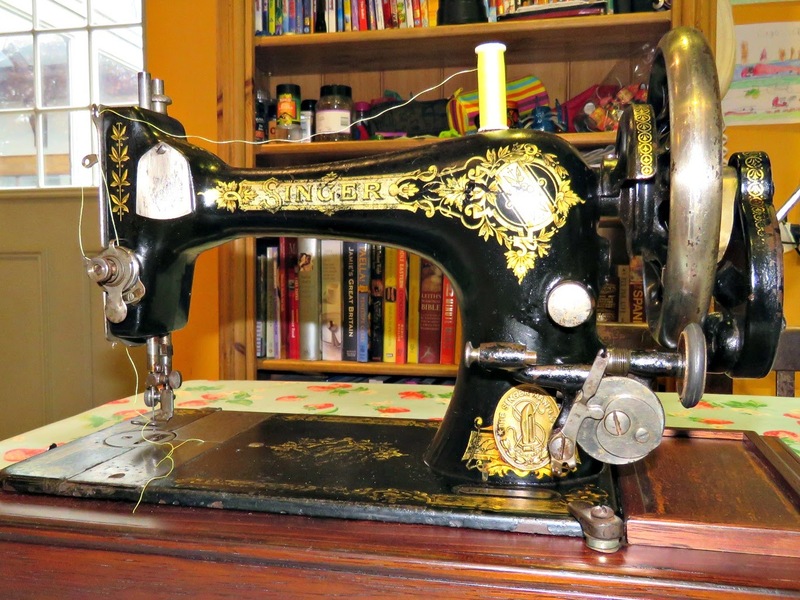 A real dowager duchess of a sewing machine. It feels so steady and safe to work with. Amazingly after all it's been through it goes like clockwork. It's got none of the fancy schmancy stitches that are downloaded as part of the standard software onto a new machine. Heck it's only got one stitch and it can't even do that in reverse to create a backstitch lock, but I love it. And you can bet your bottom dollar that this is the machine I'm going to be working on from here on in. And you know what? It really is Edwardian. 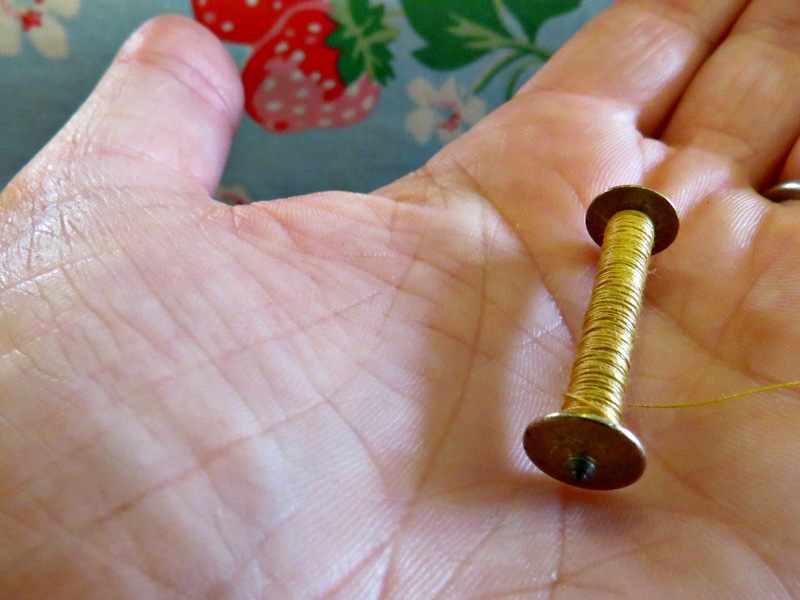 The serial number just beside the bobbin threader possesses a special magic all of its own. The Singer company have kept very clear, very detailed records of all the machines they've made over the years. With very little on-line detective work I was able to date my Grandma's machine to the year 1910, and to learn that it had been manufactured at Singer's Clydebank factory during the first half of that year. 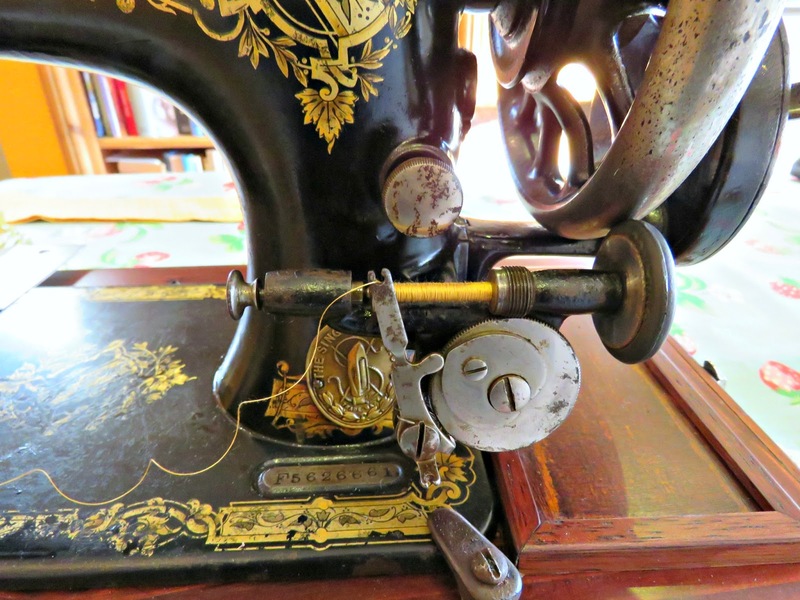 If you've got an old sewing machine and you'd like to find out when it was made the International Sewing Machine Collectors' website is a pretty good place to get the low-down. You can find them here: Ismacs serial number list. It also lets you know which model number you've got, and the year in which it was made. Sewing Grandma bought it as a pre-owned item at an auction in Belfast sometime in the late 1930's, so I doubt that it came with an instruction manual. None of us can ever remember seeing one. These days, however, if you know which model you've got you can download a manual from the Singer website. You can find them here: Singer Manual downloads. Amazing! Sewing Grandma would have been very impressed. And now all I've got to do is put this grand old lady back to work again. My grandmother has a sewing machine too. A Singer of course and its at her house. She died few years ago and this post made me miss sewing with her.